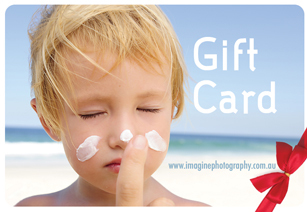 The gift of photography is a treasured gift and this gift is one that will bring with it a life time of memories. I have many customised gift cards to suit any occasion: Christmas, Birthday, Mother’s Day, “Just ‘Cause”. Your name and a personalised message will be displayed with your card. For a special impression, each gift card is presented in a beautiful box, finished off with ribbon and delivered to your recipient or to you.